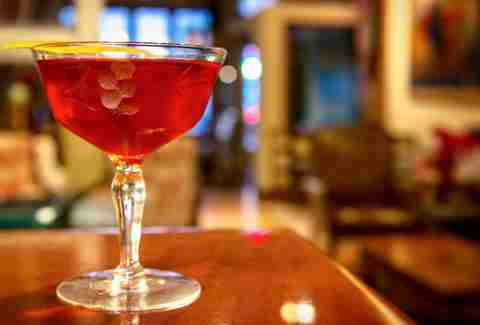 As winter descends upon Philadelphia, there’s no better time to hibernate and, thus, no better time to enjoy a good drink. From long-running, storied pubs to brand-new bars, it seems almost every establishment in Philly either has a rich history of its own or is adjacent to the history that defines the city. As you hunt for the best establishments to hole up in this winter, let the Beverage Director guide you to the best spots to drink in Philadelphia right now, from highbrow cocktail lounges and dimly lit pubs to winterized pop-ups. 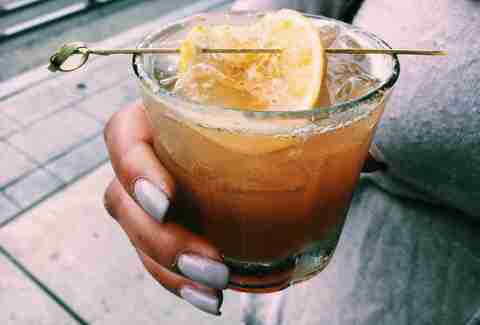 Here’s where you should be drinking around town this winter. Ever feel torn between hibernating with a good book and glass of wine and hitting the town in careful layers on a hunt for a strong cocktail? Writer's Block Rehab can offer a bit of both worlds, a bar that's decked out in an academic aesthetic, complete with faux library wallpaper and wood paneling that would make Professor Henry Higgins envious. 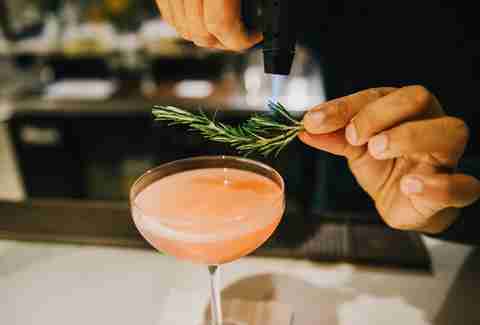 It's all about the drinks, though: creative cocktails infuse herbs and plants for a uniquely effective taste. If you're looking to feel instantly fancy, settle in on one of the vintage upholstered seats and up your game as you comb through this cocktail lounge's lengthy menu. The parlor setting lends itself to dark corners, Instagram-y backgrounds, and bartending experts who can make anything you throw at them. This Japanese pub is all about dim candle light and lots of saki. You can also find Japanese dishes unlike any other in the city, including lengthy yakimono options and a kitchen that stays open until 1am. There’s plenty to imbibe if saki isn’t your style, including dozens of imported and local brewed beers, global wines, and Japanese whiskey. What more would you expect from Stephen Simons and David Frank, the dream team that brought us the Khyber Pass Pub and other Philly essentials? The Rittenhouse restaurant made its long-awaited return after being sold in 2015, which was closed to make way for a complete rehab that now boasts gorgeous wood paneling and a marble bar, plus plenty of romantic lighting that creates the most perfect romantic winter escape. Despite its hiatus, the restaurant’s return stays true to what made the spot a mainstay in Philly’s drinking and dining scene to begin with, especially when it comes to cocktails. A tastefully curated wine and beer menu is completed by a seasonal collection of strong mixed drinks, like the apple brandy-infused Fibonacci in Autumn or the rum and cinnamon-tinged Blurred Line. The Chancellor Street bar can fit a number of going out priorities, whether you want to down a Kenzinger at the bar among medieval hip decor, or you want to go upstairs with Franky’s Punch in hand to dance the night away. You should definitely plan to hit this spot if you’re looking to ring in the New Year with a dance party that’s a nice alternative to the Barbary. 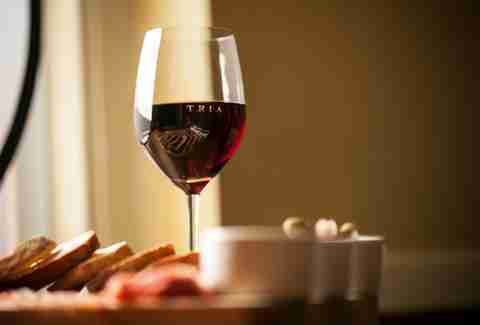 The Tria family currently has three locations, which includes two Tria Cafes -- largely focused on wine and cheese -- and the Tria Taproom in Rittenhouse, which serves 24 beers and 12 wines on draft, offering guests interactive tablet menus to help them pick the perfect drink. This is the perfect hideaway for post-holiday tourist festivities, whether you want to warm up from the City Hall outdoor holiday market or escape the rowdiness of the Mummer’s. Nothing like Southern cuisine to trick you into thinking you’re in a warmer climate. 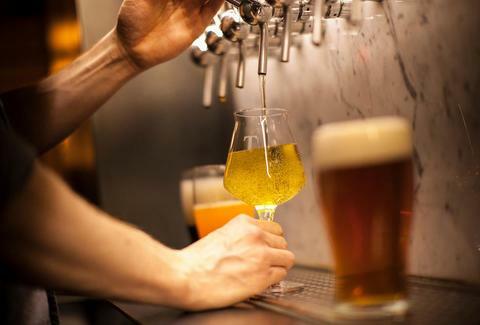 While a fried chicken sandwich or slow roast pork may seem like good winter warmers, the real draw here is a beer list that is updated on a daily basis and can satisfy most -- if not all -- beer needs. If you’re really good at decision making, there’s a lengthier bottle list -- available for carry out -- and wines for those who are so inclined. Memphis Taproom is also the perfect spot for happy hour on your way home, which features $4 draft beers and $5 appetizer specials. This whiskey-a-go-go bar is a throwback to the '70s, complete with rowdy dance parties upped by staff go-go dancers. While it’s a good party spot for New Year’s Eve, it’s also a good hideaway for year-round drinking. The front bar’s specialty is whiskey and whiskey cocktails, and this season there's a new collection to choose from: Try banana-infused Jameson for the Mrs. Peel Cocktail, or sample the menu’s latest whiskey additions with small batch bourbon, rye, and single malt flights. Stop in for the daily happy hour running from 5pm to 8pm or make a late visit from 10pm-11pm on Wednesdays and Thursdays for late-night happy hour. 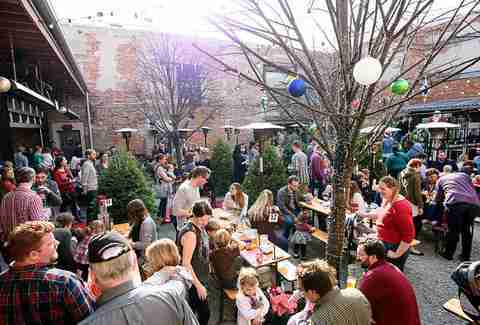 The architecturally stunning Frankford Hall is a staple in Fishtown any time of year, even when the outdoor picnic tables make you extra thankful (and dependent) on those fire pits. In the cold months you’ll find yourself particularly enchanted under twinkly lights with a gigantic German beer to warm you up. The spot has also upped its food game as of late, with plenty of hearty burgers and comfort food. Every December the ceremonial lighting of the first fire marks a season of major coziness ahead at Devil’s Den, a South Philly mainstay known best for its expansive beer collection (200+ bottles and 17 drafts) and a double-sided, wood-burning fireplace. The spot is perfect for a low key night of sampling diverse beers or if you’re on the hunt for seasonal cocktails, like the spiked hot cider or the rich chocolate, whiskey, and stout combo that is the Caramel Devil. 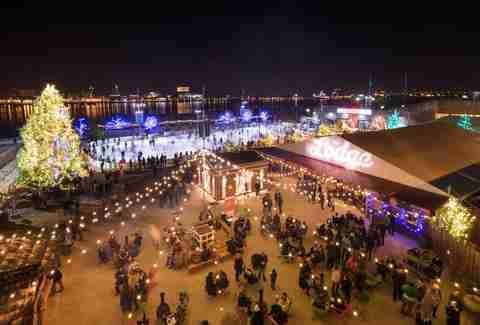 Every winter Penn’s Landing is transformed into a wintery wonderland of toasty fire pits, cozy sofas covered in plaid blankets, personal cabins, spiked cider and hot chocolate, ice skating -- you name it. This makes for a particularly special New Year’s Eve destination, giving you a front row seat to the first fireworks of 2018 flying over the river. Prepare yourself for Monk’s signature beer bible, packed with page after page of Belgian (and other-style) beers to go perfectly with your choice of mussels and pommes frites. 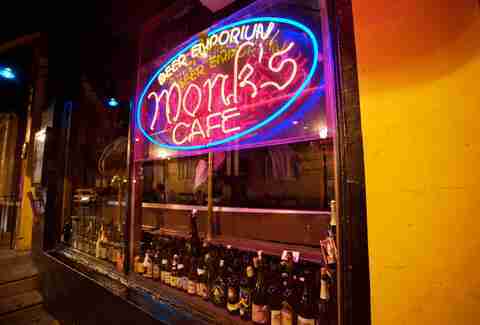 You should also prepare yourself to flip through the beer bible while sandwiched between all the other locals who love Monk’s since the availability of personal space leaves much to desired. If you’re not down to wait for a table (the spot doesn’t take reservations), try Monk’s sister bar, The Belgian Cafe, in Fairmount. There, you’ll find a similarly expansive menu and all the frites you desire, along with the extra space. JB’s has become a Philly bar scene staple over the last few years, even earning itself a cameo in Creed that hasn’t kept Fishtowners away. Come for laid-back games of pool and stay for the beautifully curated local beer menu that goes great with the late-night kitchen hours. Most nights of the week you can find a show upstairs, and New Year’s Eve is no exception: local heroes The Districts, Lithuania, and Pine Barons are all playing upstairs on December 31. P.O.P.E is the perfect place to hole up in South Philly, complete with a dark, cave-like dining area and carved fireplaces. Pick a song from the old school jukebox and one of the 14 microbrews on draft from around the country, or opt for one of the rare domestic and international bottles on the menu. The pub fare is fresh and seasonal, and on weekends you'll find one of the best hearty brunches in the neighborhood. 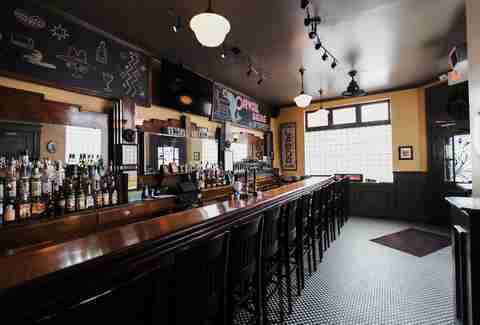 By definition this Fairmount brewpub should evoke that feeling of wintery coziness we’re all searching for at the bottom of our sock drawers. 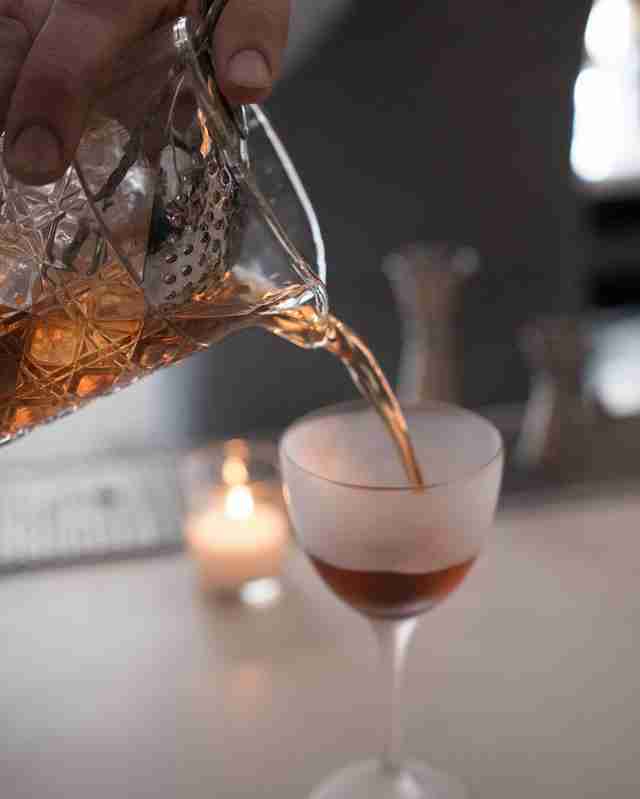 Named after the Danish concept of taking pleasure in the ordinary, Bar Hygge personifies this idea most potently through its warm atmosphere and original brews and cocktails. 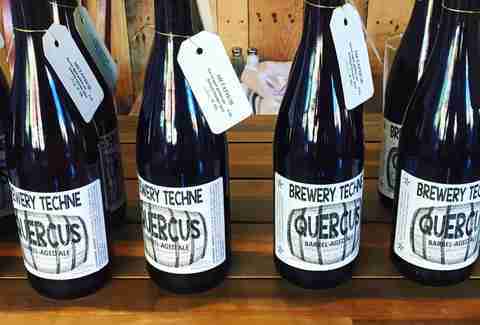 Try the Portmanteau for a dark saison or the house Imperial IPA, Ripsnorter, for perfectly heavy winter beers. If you’re looking to get out of the city, head to Ardmore for small-town charm that lays it on thick during the holidays. Streets lined with gold snowflakes and outdoor shopping make it a perfect place to feel festive. Warm up at Ardmore’s very own brewery, Tired Hands, which has two locations to choose from: the Fermentaria and the brew cafe. For charcuterie boards, paninis, and delicious butter, check out the pub. 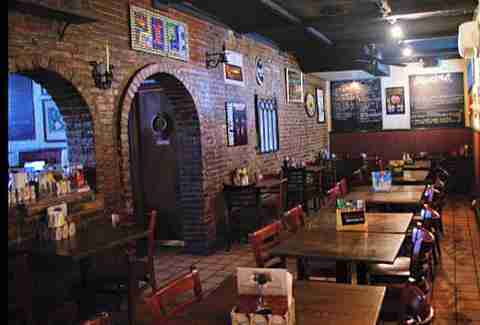 For a more expansive menu and front row view to where the beer is made, take a seat in the Fermentaria. Either way, you can expect to find treasure on the ever-changing beer menu, like this season’s black beer, called Nothing, which features notes of burnt sugar and baker’s chocolate.